Americans love Cajun Recipes, which come primarily from the state of Louisiana. Louisiana, having more miles of ocean shoreline than any other mainland state, is very proud of its seafood. 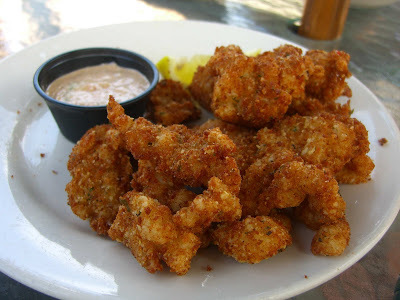 Alligator, a popular ingredient in Cajun cuisine, is probably the state’s most unique contribution to the American seafood diet. 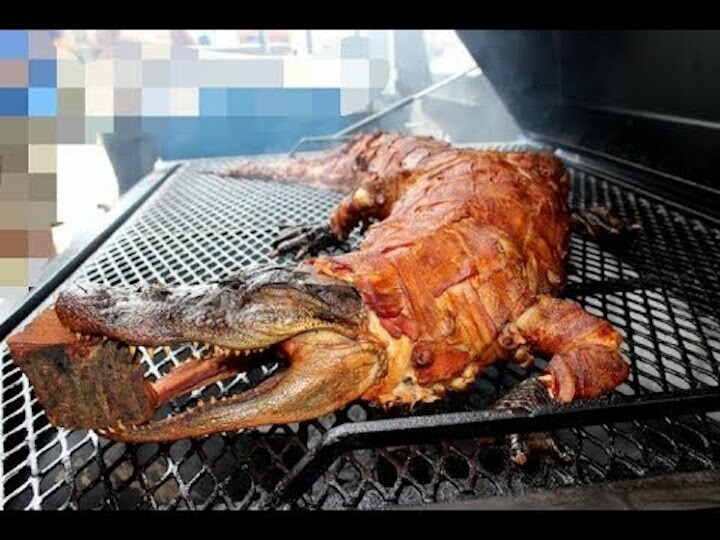 Alligator tastes somewhat like shark or swordfish, only meatier. It is often prepared Creole style, blackened, or with sweet & sour flavorings. So the next time you visit New Orleans, don’t be afraid of the alligators on your menu. They are just as tasty to you as you are to them. Cajun Recipes are characterized by Creole flavoring, which involves a particular blend of spices. Here's a Creole Seasoning recipe anyone can try. 1. Mix all ingredients until evenly distributed. 2. Rub the entire surface of the meat with the spice mixture before cooking. Scroll down for links to more American Recipes. Cut the alligator into 1-inch cubes, and soak the pieces in milk. Put in the refrigerator for 2 to 3 hours. Drain the milk, then season the meat with Creole Seasoning (recipe shown above). Add the mustard to the bowl and mix well, coating meat with mustard. Mix bread crumbs and pancake mix together in shaking bag. Drop meat cubes in shaking bag and coat well. Deep fry over a medium-high heat for 5 to 6 minutes or until the coating is golden brown. Serve hot with cocktail sauce, tartar sauce, ketchup, or your favorite dipping sauce. Visit this link for a succulent selection of ENTREE RECIPES. See this page for easy, delicious SIDE DISHES. Hit this link to access Traditional Regional Cuisine from Every State.